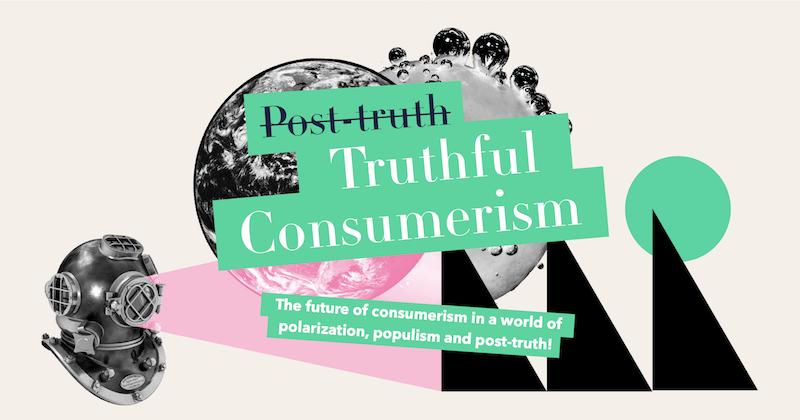 The future of consumerism in a world of polarization, populism and post-truth! I’m part of the global network of Trend Spotters of TrendWatching. During 2017 Q1 we have been researching and spotting innovations within the TRUTHFUL CONSUMERISM trend. I hope this helps you understand where you stand with your brand or innovation in the global scene. What is the future of consumerism in this new moment? And how should businesses and brands respond? We wake up every day to hundreds of read headlines filled with fake fews, cataclysmic events, terrorism, political flux and more uncertainty then ever before. 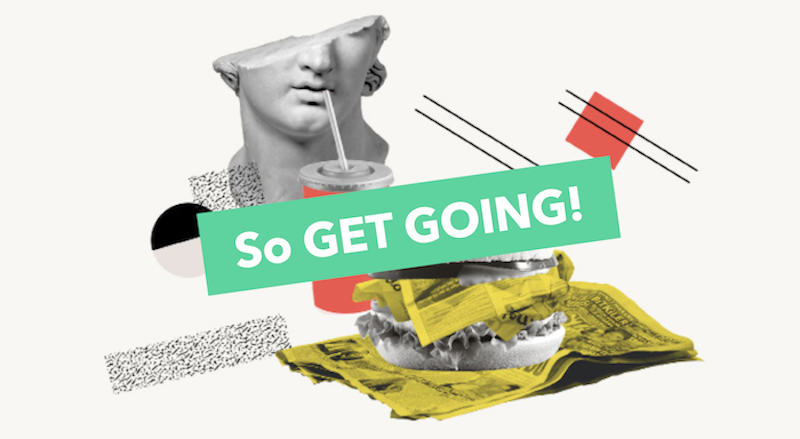 The world is going crazy and innovators and business owners feel overwhelmed in this constant avalanche of new products and services coming out to the market in a daily basis. We live in a expectation economy in which satisfying customers is an (almost) impossible mission. But, understanding trends help companies to stay ahead in time from their competition and that’s what I will try to help you with today explaining this new trend. How should brands approach consumers when half of the world’s population is in possession of a smart phone? How can brands and fashion businesses pioneer new eras of growth in a global state of constant flux? Now that everyone in the world is able to publish their own views, and see the view of others, how can brands conquer rising polarisation when so many ideas and information exists inside a filter? 2016. So that happened. Here’s a quick reminder of how it played out – as if you need one. Where are we now? The commentary has been endless. So instead, let’s look at some hard (in more ways than one) numbers. A glimpse of where we’re at in Q1 of 2017. Trust in major institutions, such as businesses, media and the government, is falling to all-time lows, media being the most affected. Adding to this, most people say they are concerned about globalization, and 27% of the population are fearful. And, last but not least, 53% of the people say the system is failing. (Data published by Edelman Trust Barometer, January 2017). 2016 ushered in a new moment. One characterized by polarized societies, the emergence of new populisms, large doses of anger, plummeting trust, and the rising power of post-truth. You already know that your brand is operating in a volatile new environment. So how can you thrive in this new environment? We have the TRUTH. But first, we need to dive deeper into WTF just happened. The earthquakes of 2016 were underpinned by deep drivers. It will pay to keep them in mind when you begin to chart the road ahead. #GlobalizationFail. Millions around the world feel shut out of the material gains and life opportunities created by globalization, and victimized by rising inequality. In 2016, they roared. Movement of people. 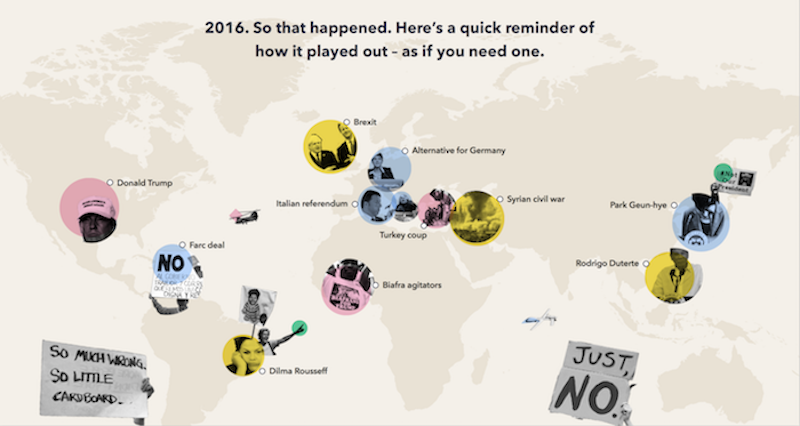 2016 saw epic global migrations, including the ongoing Syrian refugee crisis. New arrivals – and the prospect of more – helped reboot old nationalisms and embolden old prejudices across Europe and the US. Post-truth. Online, rising numbers exist inside a lter bubble that serves them information, ideas and news (some of it fake!) that serves to con rm what they already think. The result? Rising polarization. Future shock. The deep background here? Vast, ongoing changes to economies, patterns of work and lifestyles, brought about by technology. Millions are aware that even greater change is coming, via automation, AI and more. And that means an uncertain – and perhaps less habitable – future. How should YOU respond to thrive in this new moment? The future still belongs to those who believe in progress. And progress comes via innovation. So innovate to make life better – for all! This new era poses serious challenges to governments, individuals and, yes, to many brands. But the massive opportunity here? This is a uniquely powerful moment to prove who you are as a brand. What you mean, what you believe, and how you make the world better. Harness the power of innovation to build a better future. Amid all the change and uncertainty of this moment, a set of core TRUTHS about our shared future are as relevant as ever. These TRUTHS are powerful – and positive – directions of travel sweeping through many advanced and emerging economies. Ground your innovation in one (or more!) of these forces, and you ground it in something meaningful and lasting. In a recent survey of over 10,000 consumers from around the world, 78% of consumers said it is ‘somewhat or very important for a company to be transparent.’ And 70% said that ‘these days I make it a point to know more about the companies I buy from,’ (Havas, February 2016). Brands must recognize that everything they do and stand for is public property. As a brand you need to speak the language of your consumers: fast, actionable, informal. Because they have way too much information to deal with inefficient information. And its key to connect consumers to their peers, because they trust their information more than yours. Stella McCartney is an example of a brand already putting this into action. October 2016 saw UK-based luxury fashion brand Stella McCartney publish its first global environmental profit and loss accounts. By using EP&L accounting, the brand is placing a monetary value on the environmental costs and benefits that the business has generated. The report identifies six areas of environmental impact including greenhouse gas, air pollution and water pollution. In 2017 the status race isn’t just growing, it’s becoming more intense, and it’s morphing into something new. Status is becoming less about what I have, and more about who I am. That shift has been amplified by social media, which has turned personal achievement into a shareable currency. In less developed markets, fueling the aspiration race can start with making a market more efficient. Being piloted from January 2017, 2KUZE is a program for small-plot farmers across Uganda, Kenya and Tanzania. Developed by MasterCard with support from the Bill & Melinda Gates Foundation, the mobile and desktop app connects farmers, agents and buyers, enabling them to coordinate sales, payment and crop distribution. 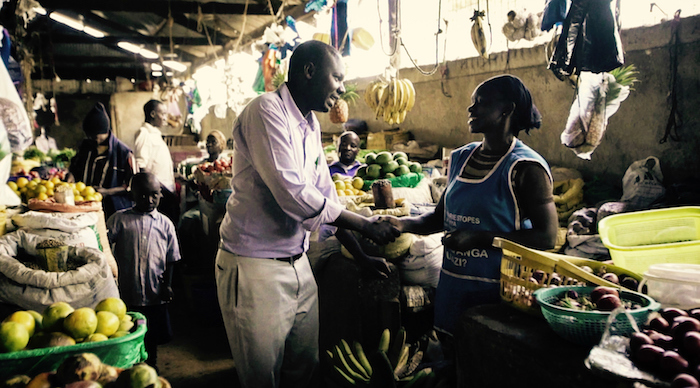 2KUZE also allows farmers to negotiate with agents and buyers directly, increasing price transparency. Bigger, cheaper, faster and shinier are not the only drivers any longer. The long-term direction of travel is on the side of brands that have a POSITIVE IMPACT on the world around them. That means on the planet, society, and individuals. A new generation of startups have great environmental and social values baked in from the start. And they’re pointing the way towards a new, more ethical consumerism. When an insurgent brand such as footwear manufacturer Veja makes a line of trainers exclusively out of plastic bottles, that helps rewire consumer expectations on around positive impact. 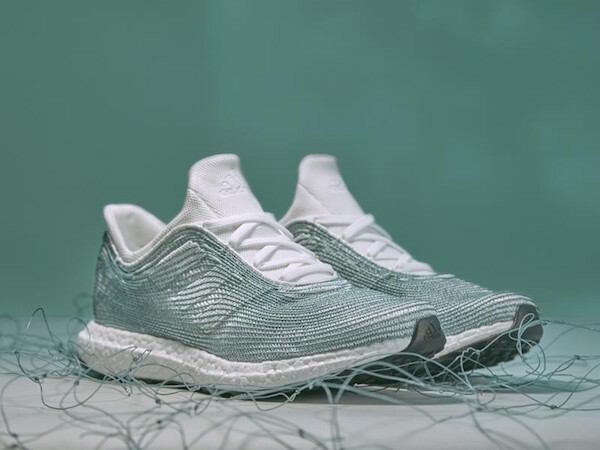 Not such a surprise, then, that Adidas recently came out with a line of trainers made from recycled ocean plastic, and have now promised to manufacture 1 million pairs in 2017, and eventually eliminate non-recycled plastic from their supply chain. Fashion bible French Vogue featured a cover of a transgender model last March issue. AirBnb recently offered free accommodation to people affected by Trump’s travel ban. We’re in the middle of an epic power shift away from institutions – think government, media, big business and more – and towards the individual. That’s happening thanks to the four powerful forces that we’ve already talked about. Just consider that a full 60% of consumers say that ‘a person like them’ is a credible source of information, vs. 37% who say that about a CEO (Edelman Trust Barometer, January 2017). 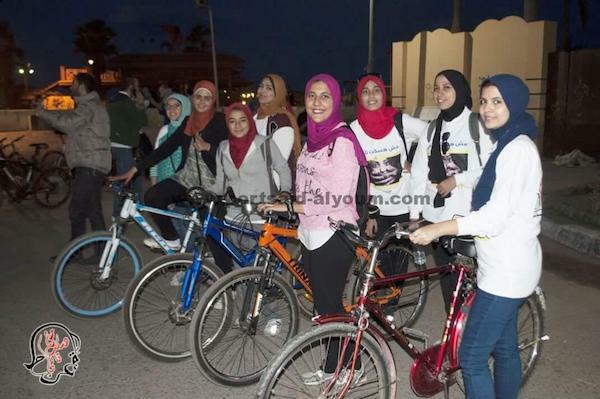 In November 2016, a group of teenagers in Port Said organized the rst mass bike-riding event to protest against intolerance of female cyclists. Calling themselves ‘There Is No Difference,’ the group’s aim is to promote cycling as a viable option for women and put an end to harassment of female cyclists in the city. The group was prompted partly by steep rises in the cost of taxi and minibus rides since the government slashed fuel subsidies.